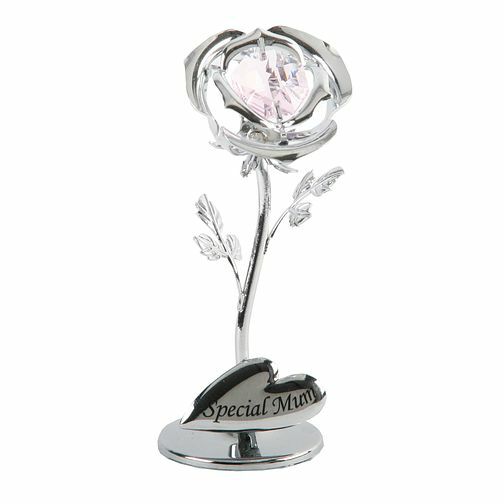 Show Mum how much you love her with this ‘Special Mum' ornament. Featuring and intricately designed rose, this breathtaking piece is a beautiful addition to her dresser. Special Mum Rose is rated 4.9 out of 5 by 19. Rated 4 out of 5 by Anonymous from A beautiful ornament A very tasteful ornament That was on offer st a fantastic price- mum loved it! Rated 4 out of 5 by Anonymous from Overall good Looks and feel nice but was smaller than I thought it would be. But still good.